Change the RES to a CES, or Clean Energy Standard, including clean coal and nuclear power, thereby strengthening our national energy capacity and encouraging more rapid development. Develop a clean, safe, and timely way to develop America’s shale gas resources to promote energy security, stability, and reliability. 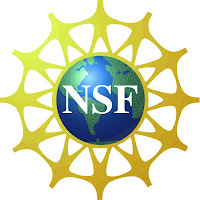 Finally, legislation ought to consider strengthening federal investment is research, development and deployment of technologies to improve energy efficiency in residential and commercial buildings and in industrial processes. "America needs all types of energy, from oil and gas to solar and wind. In addition, we need to be able to manage these multiple, dispersed and variable generating capabilities with speed, accuracy and reliability. 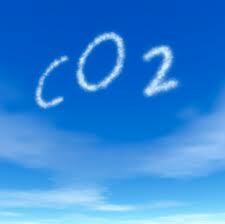 Our nation needs a healthy economy and a healthy environment. We need policies that encourage innovation, that promote fairness, that improve security and that lay the foundation for the future. America needs a CES, not a RES." Join them as the U.S. Department of Energy releases their new report concerning the future of the nation’s Smart Grid technology. Smart Grid technology is an example of energy and broadband technology coming together to solve a major infrastructure challenge. Leaders from the policy, industry and advocacy arenas will respond to the new report, and engage in a dialogue about the potential of Smart Grid technology to improve our nation’s energy system, and enhance the quality of life for all Americans. RSVP at smartgridRSVP@jointcenter.org by October 1, 2010. For questions or press inquiries, please contact Betty Anne Williams at (202) 789-3505. American water utilities are increasingly switching to chloramines, a mixture of chlorine and ammonia, for final disinfection of drinking water. Chloramine was supposed to be a "safer" water disinfectant than chlorine because it reduces formation of toxic chlorination byproducts. A 2005 survey by the American Water Works Association found that approximately a third of all utilities now use chloramines. Water disinfection byproducts are associated with increased risk of cancer and possibly adverse effects on the development of the fetus, so minimizing their levels in drinking water is a good thing. Yet, chloramines drastically increase the leaching of lead from pipes. 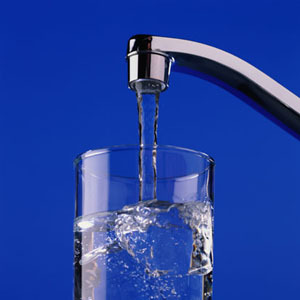 Two thirds of the U.S. municipal water supply is artificially fluoridated in an effort to prevent tooth decay. But fluoridation additives in tap water are not the same form of fluoride as found in toothpaste. Typically, water is fluoridated with fluorosilicic acid (FSA) or its salt, sodium fluosilicate, collectively referred to as fluorosilicates. In contrast, fluoride in toothpaste is usually in form of simple sodium fluoride salt, NaF. Fluorosilicates have a unique affinity for lead. In fact, lead fluorosilicate is one of the most water-soluble forms of lead. When fluorosilicates in water pass through lead-containing pipes and metal fixtures, the fluorosilicates extract high levels of soluble lead from leaded-brass metal parts. Researchers have found that the mixture of the two chemicals: disinfectant (whether chlorine or chloramine) with fluorosilicic acid has a drastically increased potency, leaching amazingly high quantities of lead. This lead goes into our drinking water and right on into our bodies, where they wreak havoc by poisoning our heart, kidneys and blood, causing irreversible neurological damage and impairing reproductive function. Chlorine and chloramine are probably here to stay for some time. On the other hand, fluoride, or, specifically, water fluoridation with fluorosilicates, is quite dispensable. There is clear evidence that fluoride dental products significantly reduce the incidence of cavities. In contrast, a substantial and growing body of peer-reviewed science suggests that ingesting fluoride in tap water does not provide any additional dental benefits other than those offered by fluoride toothpaste and may present serious health risks. In case of fluoridation and chloramines, what emerges at the end of the pipe (our faucets) is a potentially highly hazardous mixture of fluorosilicates, lead, and residual levels of disinfectants. To protect the health of our families today, we can buy a water filters to remove heavy metals and disinfection byproducts from my drinking water with a simple pitcher filter. 2) Black Enterprise is hosting Part 2 of A Conversation on Energy sponsored by Shell, in Washington D.C at the Liaison Capitol Hill Hotel, on Nov. 8, 2010. Shell Oil's outreach program should be commended. Now if we can get them to engage in equity mentor/protege partnership programs, it would add significant substance to their outreach activities. Blacks do not own energy infrastructure and resources in the United States and Shell could do something about that beguiling situation. AAEA would be happy to work with Shell in solving this energy sector problem. 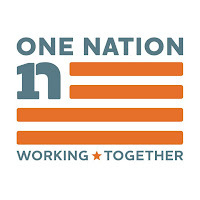 One Nation Working Together is sponsoring an October 2, 2010 March on Washington that will include unions, major civil rights, religious, environmental organizations and others. 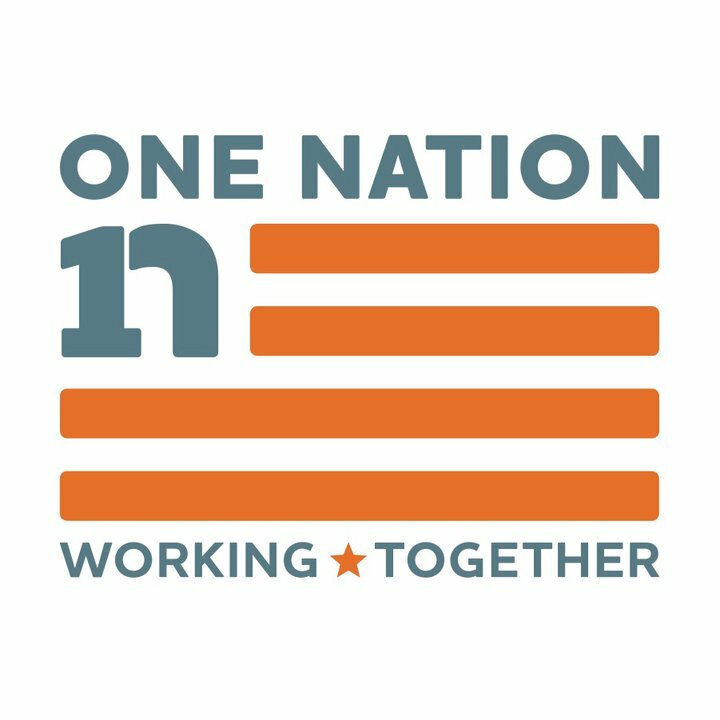 One Nation Working Together is a social movement of individuals and organizations committed to putting America back to work and pulling America back together. Coming from a diverse set of backgrounds, experiences, beliefs and orientations, we are determined to build a more united country with good jobs, equal justice, and quality public education for all. Historical Reading: "Why We March"
Historical Speech: "I Have a Dream"
The program ends at 4:00 p.m. The National Urban League and more than 70 affiliates across the country are launching their second century of economic empowerment leadership at a Centennial Founders Day Celebration on Wednesday, September 29, 2010. Shell Oil Company is sponsoring the National Urban League Founders’ Day Reception. 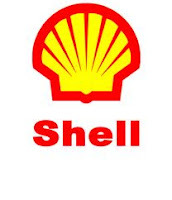 According to Shell, they support the Urban league because it is a, "partnership that closely aligns with Shell’s firm commitment to diversity and inclusiveness at all levels throughout our organization.” The Founders’ Day Reception is from 6 p.m. to 9 p.m. Wednesday, September 27, at Le Parker Meridien Hotel, 119 W. 56th St. in New York. Actress and comedienne Phyllis Yvonne Stickney is the mistress of ceremonies, and entertainment will be provided by jazz flutist Sherry Winston. Among other activities, the New York Urban League has scheduled an Open House and Neighborhood Day; the Charleston, S.C. affiliate will receive a proclamation from the mayor; and the Urban League of Columbus, GA, will rally to get out the vote. The Urban League of Chattanooga, TN, has a full day of activities planned, including a scholar’s fair, a Federal Reserve Bank listening tour and an open house. Media wishing to attend the New York reception should contact Teresa Candori or call at 646-319-0891. Black farmers marched on Washington on September 23, to demand payment from the government for discrimination black farmers have suffered through systematic practices at the U.S. Department of Agriculture. The settlement has been approved by the Obama Administration and the farmers, and funding passed the House. The Senate has tried and failed 8 times to take up the bill. Senate leadership has indicated that the only way Black farmers will receive funding is by unanimous consent, coupled with the Cobell settlement. Cobell deals with mismanagement of Native American trust accounts by the U.S. Department of the Interior, while the Black famers' settlement seeks to give Black farmers and Blacks who attempted to farm the opportunity to have their claims of discrimination by the USDA determined on their merits. What is happening in Washington, DC is similar to a situation in Oakland, CA a few years ago. My friend, Shannon Reeves, was president of the local NAACP chapter there. One night at a city council hearing everyone was unloading about how bad the economic situation was. Finally Shannon let them have it, “You have a Black mayor, predominantly Black city council, Black school superintendent, Black police chief, Black fire superintendent, Black state representative, and a Black congressperson and Black everything else. If things are bad then someone Black has either done it or let it happened.” In essence, the solution must start with us and cities like Oakland, Compton, East St. Louis, Gary, Detroit, Camden, etc. must start to police and correct themselves. Outside sources are not going to do it for us. So far this Stimulus Bill has been a disaster for Black America. We have participated in about 1% of the revenue at best. Only thing is the Union movement is mad about that one percent we have in addition to the 1% Hispanics have and the 3% women share. In total that is 5% and they see that as awful. The greedy unions want it all to themselves and they aren’t going to stop until they get it. After all, they paid the Obama Campaign over $200 million and they want the big return on that investment. The latest union hustle is the High Speed Rail System they want built throughout America. We need this like a “hole in the head”. Our economy is in the tank. We can’t fill airplanes, normal trains or buses but they want to fill the nation up with these bullet trains that will not be used by many. There is at least $50 billion in jobs doing this and the unions want all of those jobs. They already have gotten the Obama Administration to eliminate civil rights and affirmative action programs regarding the oversight of this project. Normally, the US Department of Transportation’s Disadvantaged Business Enterprise (DBE) program would apply. This states that goals must be set for minority and women businesses and equal opportunity employment must be enforced. But oh, the little bigots have found a loophole. There is an underutilized agency within the Department of Transportation where the DBE program doesn’t apply. That is the Federal Railroad Administration. So, in a sinister way, the Obama Administration is shifting all the responsibility for the high speed rails to this department so affirmative action and civil rights cannot be enforced. This is terribly sad isn’t it? It is change all right – change for the worst. 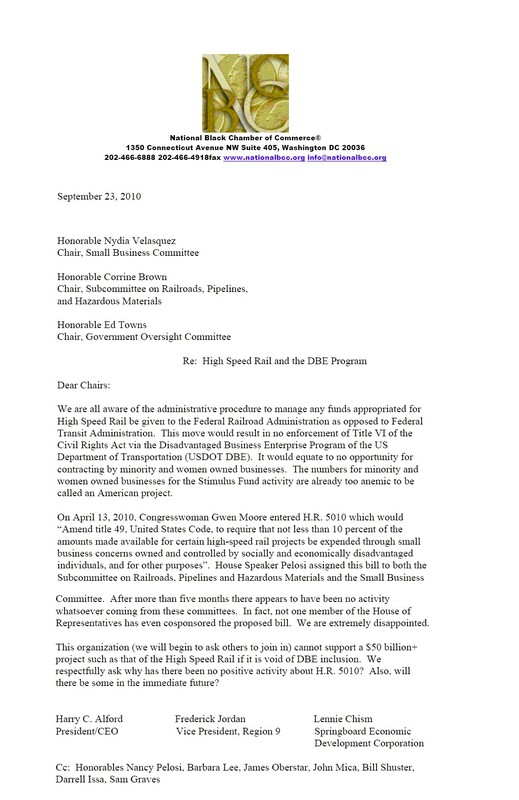 Courageously, Congresswoman Gwen Moore (Black Democrat, Milwaukee) stepped in the way and filed house bill H.R. 5010 which states that the Federal Railroad Administration must abide by the DOT civil rights programs. The bill states: “To amend title 49, United States Code, to require that not less than 10 percent of the amounts made available for certain high-speed rail projects be expended through small business concerns owned and controlled by socially and economically disadvantaged individuals, and for other purposes.” She dropped this April 13, 2010. However, Speaker of the House Pelosi went to work against it. She assigned the bill to Congresswoman Corrine Brown (Black Democrat, Jacksonville), Subcommittee Chair for Railroads and Congresswoman Nydia Velasquez (Hispanic Democrat, NYC), and Chair for the House Small Business Committee. The bill has been frozen ever since. It has been over five months and they are conspiring to kill it. Strangely enough, there has not been one member of the House of Representatives to cosponsor this bill with Congresswoman Moore. No member of the Congressional Black Caucus, Democratic Party, Transportation or Small Business Committees. Congresswoman Moore is out there by herself. It is a betrayal of African Americans, minorities and women, in every since of the term. Remembering Oakland, I must state that if we have a Black President, Black House Whip, 43 members of the Congressional Black Caucus, Black Attorney General (in charge of Civil Rights) and Black representation throughout the federal government then someone Black is doing this or letting it happen. It is 2010 and they are openly killing civil rights. Somehow we are going to have to rally and fight this terrible assault. One thing we can do is remember this in November when we go to the polls. If your congressperson is not going to fight this then you need a new congressperson. There should be no high speed rail system built in this nation unless it comes correct. Racism should not be allowed and certainly not promoted by the Democratic Party and supported by the Congressional Black Caucus. 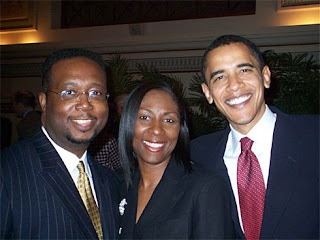 Mr. Alford is the co-founder, President/CEO of the National Black Chamber of Commerce. OnLineCollege.org has listed fifty scholarly blogs for climate science students that have information about global warming, weather, meteorology, environmental science, geography, mapping and GIS systems, among other topics that feed into the broader discipline of climate science. Through OnLineCollege.org, students can either major in or sign up for climate science courses as a means of furthering their meteorological understanding. 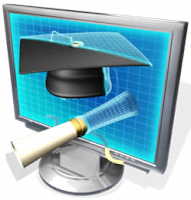 Blogs, most especially those by professional or academic organizations and individuals, make for a great supplement to their lessons. Robert Bullard, Beverly Wright and Gabriela Lemus are no longer on the Joint Center for Political and Economic Studies' Commission to Engage African Americans on Climate Change. New members include Phaedra Ellis-Lamkins, Broderick D. Johnson, Carolyn Green, Calvin G. Butler , Jr., Milton Carroll, Mary H. Hayden, and Veronica Johnson. Bullard is Director of the Environmental Justice Resource Center at Clark Atlanta University. 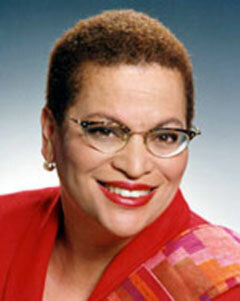 Wright is Executive Director of Dillard University's Deep South Center for Environmental Justice. Lemus is Executive Director of the Labor Council for Latin American Advancement. Phaedra Ellis-Lamkins is Chief Executive Officer of Green For All in Oakland, California. 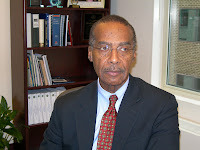 Broderick D. Johnson is Chairman of Bryan Cave Strategies and Partner at Bryan Cave LLP in Washington, DC. Carolyn L. Green is Co-Founder and Managing Partner of EnerGreen Capital Management, LLC in Philadelphia, Pennsylvania. Calvin G. Butler, Jr. is Senior Vice President of Human Resources at Exelon Corporation in Chicago, Illinois. 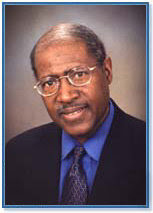 Milton Carroll is Chairman of the Board of CenterPoint Energy, Inc. in Houston, Texas. Mary H. Hayden is a Research Scientist at the Research Applications Laboratory at the National Center for Atmospheric Research. Veronica Johnson is a Meteorologist at NBC News4 Weather Plus in Washington, DC. "The subtext is that there seems to be some hesitancy - to put it mildly - on the part of the Obama administration to overtly address issues of race. There is talk about a rising tide lifts all boats. But if there is unevenness in terms of how the boats are situated, then maybe you should look at that, instead of some across-the-board notion." AAEA is concerned that Blacks do not own energy infrastructure and resources in the United States: no offshore oil rigs, no coal mines, no natural gas wells or pipelines, no oil wells, no oil tankers engaged in the international oil trade, well, you get the idea. We hope the Commission will put this issue on its agenda. AAEA has approached every energy sector in trying to increase minority ownership of energy infrastructure and resources, but have been repeatedly rebuffed. Gloria Reuben, left, was born in Toronto, Canada and is best known for her role on the American television series ER as Jeanie Boulet, a physician assistant. She has starred in numerous other television and movie roles. In 2000, she sang back up for Tina Turner on her Twenty Four Seven Tour. The National Science Foundation is proposing to merge three grant programs for minority-serving institutions into a single new program that would also allow awards to majority-white institutions. This will have the effect of reducing grant funds to Historically Black Colleges and Universities (HBCU). At least 20 percent of the nation's 105 black colleges are in financial distress and many suffer from a lack of support from state and federal agencies, as well as very low percentages of alumni-giving compared with the levels at predominantly white institutions. The White House Board of Advisors on Historically Black Colleges and Universities, established by President George H.W. Bush in 1989, has typically included only the presidents of black colleges. Orlan Johnson, 48, is the Chairman of the Securities Investor Protection Corporation (SIPC), having been confirmed to that position in February 2010. 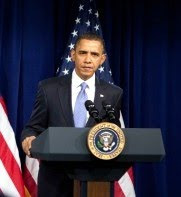 He is also a partner in the Business Department of Saul Ewing in Washington, DC. He has in-depth and practical experience in mergers and acquisitions, stock and asset acquisitions and dispositions, corporate financing, joint ventures, proxy contests and tender offers, and general corporate governance matters. Mr. Johnson was an original member of Obama national finance committee and served on campaign policy committees related to transportation insfrastructure, finance/banking and energy issues. Prior to joining Saul Ewing, Mr. Johnson was Of Counsel at Milbank, Tweed, Hadley & McCloy, where he served as co-head of its regulatory practice in the Washington, DC office. Before that, he served for nine years as a Staff Attorney and Branch Chief in the Division of Investment Management for the U.S. Securities and Exchange Commission (SEC). In this capacity, his primary responsibilities included advising the Commission on the regulation of exempt utility companies and utility companies registered under the Public Utility Holding Company Act of 1935. 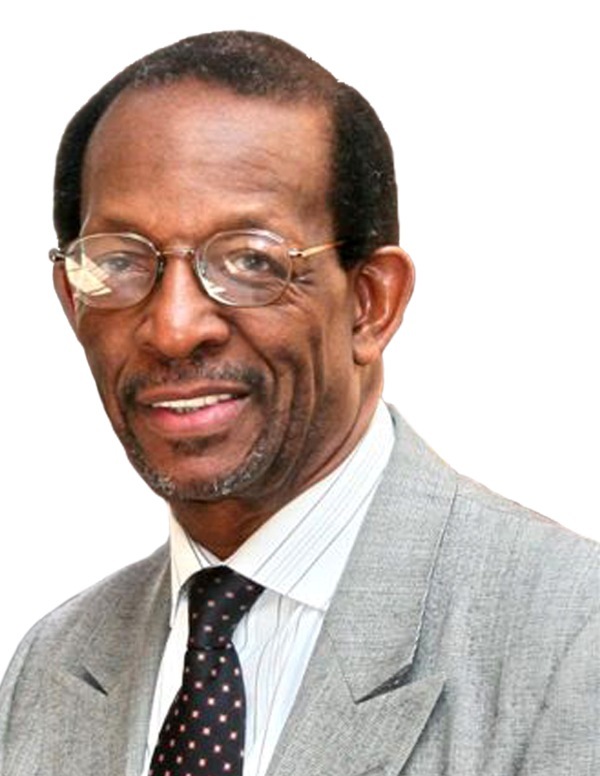 In addition to his legal practice, Mr. Johnson is an adjunct professor of law at Howard University School of Law where he teaches Securities Regulation classes. Johnson has a J.D. from the Howard University School of Law, 1987 and received his B.A. from Andrews University in 1984. FOE Reports: Africa Becoming Green OPEC: Good or Bad? "Africa: Up For Grabs: The Scale and Impact of Land Grabbing for Agrofuels"
The African continent is increasingly being seen as a source of agricultural land and natural resources for the rest of the world. National governments and private companies are obtaining access to land across the continent to grow crops for food and fuel to meet growing demand from mainly overseas countries. 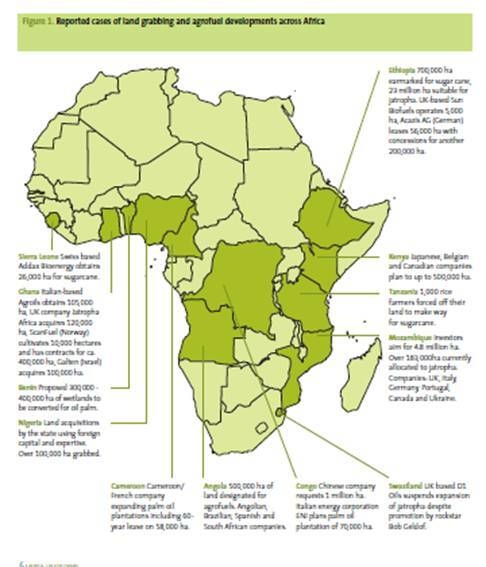 Agrofuels - the large scale production of crops used to produce liquid fuels - are being hailed by some as Africa’s silver bullet. Proponents of agrofuels generally argue that agrofuel production will address the economic crisis facing many developing countries; they will create wealth and jobs and alleviate poverty. These issues need to be assessed objectively. We should not accept these arguments without subjecting them to empirical analysis. The rationale behind this research is anchored on this premise. It looks at the spread of agrofuel production across Africa and highlights the social, economic, health and environmental concerns found. Many of the host countries have encouraged this investment, keen to develop a potentially lucrative export crop. Fifteen African nations joined forces to set up what has been described as a “Green OPEC” and a number of national governments have also introduced domestic targets and strategies for agrofuel use at home. But there is also a growing awareness of the downsides of this agrofuel boom. As scientists and international institutions challenge the climate benefits of this alternative fuel source, local communities and in some cases national governments are waking up to the impact of land grabs on the environment and on local livelihoods. FOE's Recommendations for action: 1. Put a brake on land grabbing: a) Stopping the drivers – political targets that increase demand for agrofuels should be scrapped, in particular the EU’s mandatory target and b) African states should immediately suspend further land acquisitions and investments in agrofuels. Stephanie Owens, left, has replaced M. Allyn Brooks LaSure as Deputy Associate Administrator in the Office of Public Affairs. 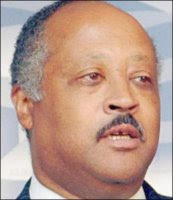 Owens was Director of the Office of Public Affairs. Owens was formally the senior vice president of The Agency LLC, a consulting firm specializing in the development of corporate social responsibility strategies. Her clients included the National Football League and Major League Baseball. She also served as the Vice President of Collaborative Initiatives for the American Cancer Society, Special Assistant to Vice President Al Gore for the Federal Interagency Task Force on St. Petersburg, Senior Advisor to Commerce Secretary Ron Brown and Special Assistant to Secretary Henry Cisneros. Owens is a graduate of the University of Southern California and native of Detroit, Michigan. Adora Andy, right, who was EPA Press Secretary has also been elevated to Deputy Associate Administrator for Communications in the Office of Public Affairs. Andy was a television News Producer at WPTY in Memphis for two years. Prior to that, she was a producer and reporter in Columbia, Missouri. Andy served as Press Secretary for Congressman Harold Ford, Jr.'s U.S. Senate Campaign in Nashville, Tennessee. 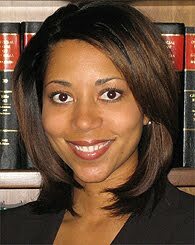 She was Public Information Officer for the DeKalb County District Attorney's Office. Andy also has news experience at CNBC Europe in London. Andy was born and raised in San Antonio, Texas and graduated from the University of Missouri's School of Journalism. Dru Ealons, far left, replaced Stephanie Owens, as Director in the Office of Public Outreach. Dr. Ron Walters, 72, died last night, Friday, September 10 at Suburban Hospital in Bethesda, Maryland. 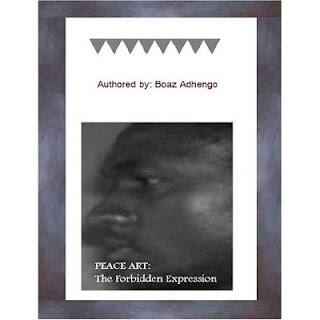 "Peace Art: The Forbidden Expression"
"My purpose of writing this book is to describe the complex ‘Peace Art’ as it occurs in Africa and specifically, Kenya. My understanding of Peace Art is not universally accepted. Some researchers’ prefer less expressive, more cognitive behavior models to describe this concept. More so, conflict and chaotic relation of art, a look into the opposite. It is more of a proposal into collective action, into resourceful organization of art into action. The approach into this writing is purely creative but informing, merging existing examples with experience into a digestible piece that will not warrant a meeting." Today the CBC hosts five or six energy and environment braintrusts during the Congressional Black Caucus Foundation Annual Legislative Conference. 'In the old days,' they actually held the sessions in Congressional hearing rooms. Now the sessions are held at the Walter E. Washington Convention Center in downtown Washington, DC. 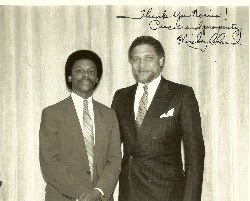 Congressional Mickey Leland hosted the very first energy and environment braintrust on behalf of the CBCF in 1982. He reached out to our president, Norris McDonald, to organize the session for him. It turned out to be a very successful session and now there are numerous such sessions sponsored by the CBCF. But everyone should remember that the late Congressman Mickey started it all. The American Association of Blacks in Energy coordinated a reception after the session. It provided for a great networking opportunity at that time. Larry Irving was Congressman Leland's Legislative Director and Counsel at that time. Larry went on to head of the National Telecommunications Infrastructure Administration (NTIA), an agency of the United States Department of Commerce. In 2009, Larry became Vice President of Global Government Affairs for Hewlett-Packard Company, the largest technology company in the world. Mickey is a legend. And those who met him and got to know him will never forget him. CNN should be ashamed of the way that Anderson Cooper handled the interview with Texas Congresswoman Eddie Bernice Johnson (D-TX). He aired the interview on Thursday, and because it seemed to catch the congresswoman sounding vulnerable, he aired it again tonight. Congresswoman Johnson stated that she reimbursed the $21,000 in scholarships that were awarded to her grandkids. Anderson was not satisfied with that and proceeded to essentially abuse the Congresswoman as she tried to explain the situation. It is clearly 'open season' on Congressional Black Caucus members. Congresswoman Eddie Bernice Johnson does not serve on education committees in the House of Representatives but has gone out of her way to aggressively promote educational achievement by minority students. We have attended events organized by the congresswoman to raise awareness and funding for scholarships for needy students. 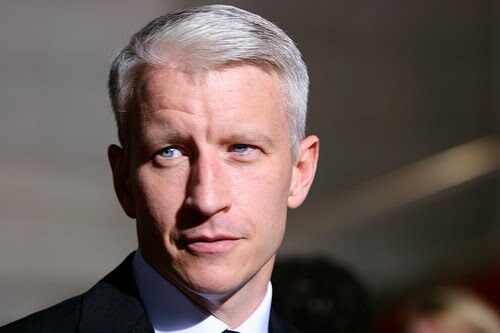 Anderson Cooper's conduct was unconsciousable and he did seem to be 'creating a scandal' where none exists. We know that Congresswoman Eddie Bernice Johnson will remain strong in the face of this 4th estate abuse from The Left. 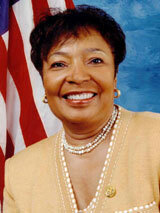 We salute you Congresswoman Johnson, for we know about your work. And why hasn't the media been out covering your hard work in promoting educational achievement for minority kids. Where was Anderson Cooper in promoting all of Congresswoman Eddie Bernice Johnson's great works in this area? It simply is not fair and represents an abuse of freedom of the press.